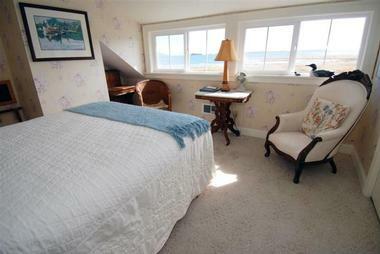 China Beach Retreat is a luxurious adults-only bed and breakfast set in Ilwaco on the beautiful Long Beach Peninsula. The elegant boutique hotel is designed and decorated in a classic Pacific Northwest style and features stylish accommodations with breathtaking views, upscale facilities and amenities and unrivaled hospitality. The exclusive retreat caters for up to eight guests, with four beautifully appointed guest rooms in the main house and a private cottage overlooking Baker’s Bay. Each room boasts comfortable beds and seaside-inspired décor, private bathrooms with combined showers and air-jet, hydrotherapy massage tubs, and sunny sitting areas with sweeping panoramic views. 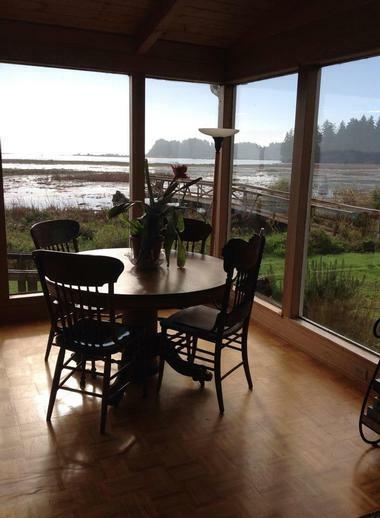 China Beach Retreat is set on the beautiful Long Beach Peninsula, which offers a variety of relaxing and outdoor activities to enjoy, from beachcombing and hiking to swimming, fishing, kayaking, and biking. China Beach Retreat features four beautifully appointed guest rooms, each individually decorated to exude its own charm and character. Each room boasts comfortable beds and seaside-inspired décor, private bathrooms with combined showers and air-jet, hydrotherapy massage tubs, and sunny sitting areas with sweeping panoramic views. Modern amenities in each room include wireless Internet access, coffee, and tea service throughout the day and a gourmet breakfast every morning. The Sacagawea and Lewis and Clark Rooms feature raised queen-size beds with plush linens and tiled en-suite bathrooms with an air-jet, hydrotherapy massage tubs, combined showers, thick towels and deluxe bath products. These rooms have beautiful Victorian stained glass windows which cast a soft light and frame spectacular bird’s eye views of Baker’s Bay. The Kuan Yin Suite is located on the ground floor and features an exquisite marble relief panel of the Chinese Goddess Kuan Yin. The room has a queen-size bed with plush linens and a tiled en-suite bathroom with an air-jet, hydrotherapy massage tubs, combined showers, thick towels and deluxe bath products. 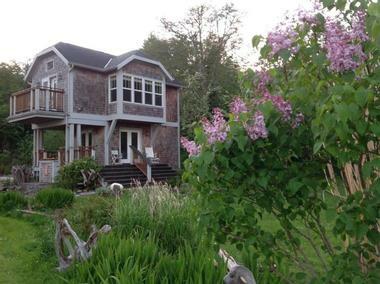 The Audubon Cottage is a secluded waterfront haven for those looking for some peace and quiet. Named after the patron saint of American ornithologists, John James Audubon, the cottage is surrounded by the natural beauty and wildlife of China Beach and is decorated with authentic Audubon prints. The charming two-level cottage features a king-size bed with plush linens and an en-suite bathroom with an air-jet, hydrotherapy massage tubs, combined showers, thick towels and deluxe bath products on the upper level. The lower level has a fully equipped kitchenette with a mini-refrigerator and microwave, a spacious sitting area with comfortable seating and a 42? 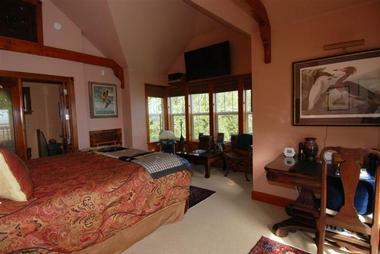 flat screen television, and an outside deck with a hot tub for two. A hearty gourmet breakfast is served every morning in the sunny dining room or on the porch overlooking Baker’s Bay, and the mouth of the Columbia River and coffee and tea service is available throughout the day. China Beach Retreat offers charming guest rooms with country-style décor and plush furnishings, a gourmet breakfast every morning and a coffee and tea service throughout the day. Complimentary wireless Internet is available in every room and bed and breakfast caters for group retreats, weddings, and other special occasions for up to 20 guests. 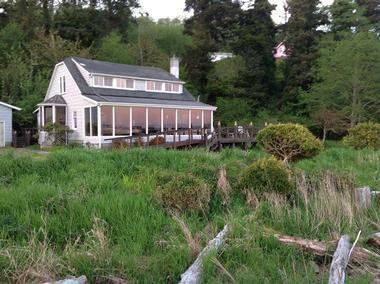 China Beach Retreat offers the perfect location for group retreats, weddings, and other special occasions. Boasting a tranquil and secluded locale surrounded by breathtaking views, luxurious accommodations, gourmet cuisine and warm and welcoming hospitality, China Beach Retreat caters for small and intimate gatherings of up to 20 guests. For larger events, The Shelburne Inn, the hotel’s sister property, is available and audiovisual equipment can be hired for an additional fee. Named after a local Indian chief, ‘Elowahka Jim,’ and once a famous salmon fishing port and transportation hub, the quaint port community of Ilwaco on the Columbia River is one of several seaside towns on the Long Beach Peninsula. The peaceful town features a thriving art community, busy marina and some of the best salmon and sturgeon fishing in the United States. 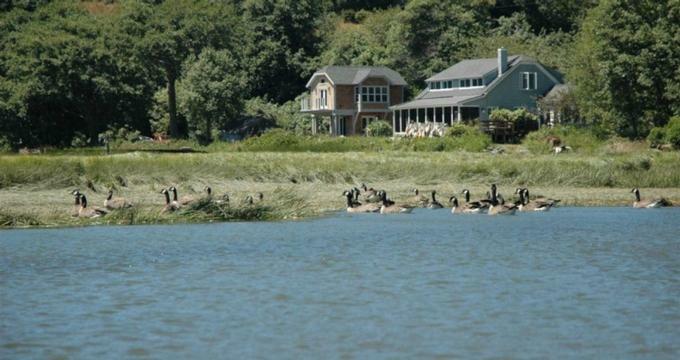 It offers an array of relaxing activities to enjoy, from beachcombing and walking to swimming, fishing, kayaking and biking and is home to two lighthouses, the southern end of the famous Discovery Trail, and the Leadbetter Point State Park and the Cape Disappointment State Park, which are short drives away. There are also several excellent museums to explore, including the Columbia Pacific Heritage Museum, the Columbia River Maritime Museum, the World Kite Museum and Hall of Fame, and the Lewis & Clark National Historical Museum.